I feel sorry for the Venezuelan people, but I’m perversely glad that the country is collapsing. That’s because it’s nice to have proof that Margaret Thatcher was right when she famously warned that the problem with socialism is that you eventually run out of other people’s money. 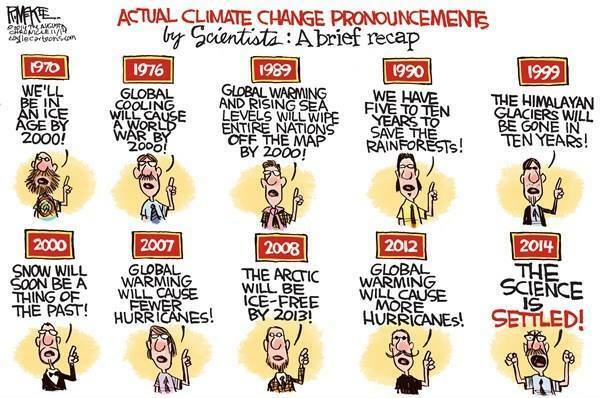 To be sure, we already had proof from Greece, France, the Soviet Union, Brazil, and many other places. But it’s still nice to have another piece of evidence that big government eventually produces very dire results. I also confess that I’m enjoyed Venezuela’s economic decay because I get a warm feeling of Schadenfreude when watching leftists try to explain what’s happening in that formerly rich nation. Even the New York Times feels the need to report on the mayhem in Venezuela. The courts? Closed most days. The bureau to start a business? Same thing. The public defender’s office? That’s been converted into a food bank for government employees. Step by step, Venezuela has been shutting down. …Venezuela keeps drifting further into uncharted territory. …that is only the start of the country’s woes. Electricity and water are being rationed, and huge areas of the country have spent months with little of either. …the Mexican company that bottles Coke in the country, has even said it was halting production of sugary soft drinks because it was running out of sugar. And why is the economy in free fall? Is it possible that the left-wing policies the NYT wants for the United States are failing when tried elsewhere? Not according to the story. It’s the fault of external forces. Or maybe even rich people. The growing economic crisis — fueled by low prices for oil, the country’s main export; a drought that has crippled Venezuela’s ability to generate hydroelectric power; and a long decline in manufacturing and agricultural production. …Venezuela’s government says the problems are the result of an “economic war” being waged by elites who are hoarding supplies. Finally, in the 27th paragraph, there’s a mention that maybe, just maybe, some of the blame belongs to government. …most economists agree that Venezuela is suffering from years of economic mismanagement, including…price controls that led many businesses to stop making products. Hmmm…, I guess we can safely assume that “most economists” does not include Joseph Stiglitz. Another story in the New York Times specifically examines how this mess was created. Finally, an opportunity to learn how leftist policies are a recipe for economic failure, right? Hardly. The report starts by pointing out the obvious. Yes, the economy is a disaster. Supermarket shelves in Venezuela are chronically bare, and power shortages are so severe that government offices are now open only two days a week. The health care system has collapsed, the crime rate is one of the world’s worst, and inflation is rapidly eroding what remains of the currency’s value. It then addresses the question of how this happened. And as you can see, we’re supposed to believe it’s the result of falling oil prices and drought, even though many other oil-producing jurisdictions are avoiding economic chaos and droughts in other nations normally don’t lead to societal collapse. The price of oil, Venezuela’s only significant export, has plummeted, which means revenue could fall by 40 percent this year. The government’s huge borrowing, partly a legacy of the years when oil prices were far higher, has helped bring the crisis to a head because Venezuela now has far less money to repay its foreign debt, forcing Mr. Maduro to slash imports in order to avoid default. On top of that are the consequences of a drought, which has shriveled the country’s hydropower generation, a critical source of electricity. Farther down the article, in the seventh paragraph (of a much shorter story), there’s a grudging admission that at least some economists blame statist policies. …many economists say his policies of state ownership, unfettered spending, subsidies and domestic price controls are at least partly responsible for the crisis today. Gee, how generous of the NYT to acknowledge that some people have this strange belief that big government doesn’t work. The column also notes that price controls are causing shortages, which is a nice admission even if there’s no clear conclusion in the article that the policy is bad. Subsidized food and fuel sold by state-run stores are priced far lower than they are really worth. This has created enormous lines of shoppers for goods that quickly sell out. While it’s amusing the dissect the verbal gymnastics of the New York Times, it’s even more fun to observe the dour reaction of Comrade Bernie Sanders when asked about the issue. The folks at Newsbusters have the video, and here’s the relevant transcript if your stomach’s not strong enough to actually watch the Vermont Senator on screen. Huh, the guy’s been waxing poetic about the glories of socialism and big government his entire life, so much so that he reportedly was kicked out of a Marxist commune for being too much of a blowhard, but now he’s suddenly so “focused” on his campaign that he can’t comment on the biggest story about socialism since the fall of the Berlin Wall?!? Heck, I would like some journalist to present Sanders with my two-part challenge for leftists and see if he can name a single successful statist jurisdiction. Though I’m guessing Comrade Bernie would inaccurately claim Sweden or Denmark, even those two nations got rich first and then adopted big government. P.S. Interestingly, the Washington Post does not appear to be as reflexively left wing at the NYT. At least if these blurbs from an editorial last year are any indication. …one of the worst crises of governance Latin America has seen in modern times. The country’s collapsing economy, soaring crime… Mr. Maduro…inherited the mess created by the late Hugo Chávez and then greatly worsened it… Venezuelans are furious about endemic shortages, triple-digit inflation and a poverty rate that exceeds that of 1999, when the Chavista movement first came to power. …That Mr. Maduro…threatens violence probably is a reflection…of the regime’s deep-seated criminality. Two of the president’s nephews are being held in New York on drug-trafficking charges, and U.S. authorities are reportedly investigating numerous other senior figures, including the current president of the National Assembly, Diosdado Cabello, who is considered the regime’s second most powerful official. To be sure, the Post editorial doesn’t explicitly tie the wretched conditions in Venezuela to left-wing policy, but at least there’s no ambiguity about the fact that Maduro is a bad guy. Now if we can get the Post to cease being reflexively supportive of statism in the United States, that will be real progress. P.P.S. Since it’s Memorial Day in the United States, let’s close with a feel-good story about an immigrant achieving the American Dream. P.P.P.S. And I can’t resist adding a bit of humor about Sen. Sanders and Venezuela. Yes, socialism breeds misery, but it also generates some clever humor. More examples here, here, here, and here. The International Monetary Fund is a left-leaning bureaucracy that was set up to monitor the fixed-exchange-rate monetary system created after World War II. Unsurprisingly, when that system broke down and the world shifted to floating exchange rates, the IMF didn’t go away. Instead, it created a new role for itself as self-styled guardian of economic stability. Which is a bit of a joke since the international bureaucracy is most infamous for its relentless advocacy of higher taxes in economically stressed nations. 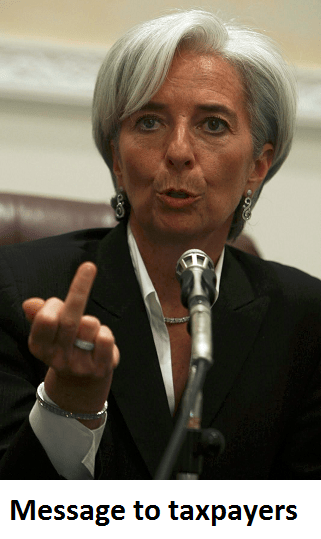 So much so that I’ve labeled the IMF the Dr. Kevorkian of the world economy. Or if that reference is a bit outdated for younger readers, let’s just say the IMF is the dumpster fire of international economics. Heck, if I was in Beijing, I would consider the bureaucracy’s recommendations for China an act of war. To get an idea of the IMF’s ideological bias, let’s review it’s new report designed to discredit economic liberty (a.k.a., “neoliberalism” in the European sense or “classical liberalism” to Americans). The neoliberal agenda—a label used more by critics than by the architects of the policies— rests on two main planks. The first is increased competition—achieved through deregulation and the opening up of domestic markets, including financial markets, to foreign competition. The second is a smaller role for the state, achieved through privatization and limits on the ability of governments to run fiscal deficits and accumulate debt. The authors describe the first plank accurately, but they mischaracterize the second plank. At the risk of nitpicking, I would say “neoliberals” such as myself are much more direct than they imply. We want to achieve “a smaller role for the state” by reducing the burden of government spending. Sure, we want to privatize government-controlled assets, but that’s mostly for reasons of economic efficiency rather than budgetary savings. And because we care about what actually works, we’re fans of spending caps rather than balanced budget rules. But let’s set all that aside and get back to the report. The IMF authors point out that governments have been moving in the right direction in recent decades. There has been a strong and widespread global trend toward neoliberalism since the 1980s. That sounds like good news. And the report even includes a couple of graphs to show the trend toward free markets and limited government. And the bureaucrats even concede that free markets and small government generate some good results. But then the authors get to their real point. They don’t like unfettered capital flows and they don’t like so-called austerity. However, there are aspects of the neoliberal agenda that have not delivered as expected. …removing restrictions on the movement of capital across a country’s borders (so-called capital account liberalization); and fiscal consolidation, sometimes called “austerity,” which is shorthand for policies to reduce fiscal deficits and debt levels. I’m much more worried about stagnation and poverty than I am about inequality, so part of the IMF’s analysis can be dismissed. Indeed, based on the sloppiness of previous IMF work on inequality, one might be tempted to dismiss the entire report. But let’s look at whether the authors have a point. 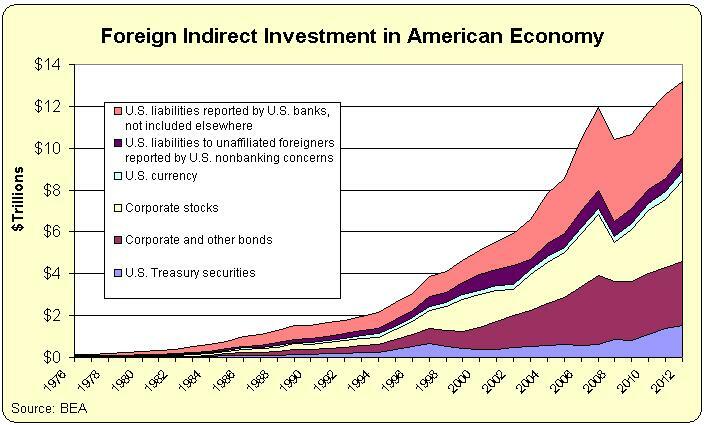 Are there negative economic consequences for nations that allow open capital flows and/or impose budgetary restraint? They argue that passive financial flows (indirect investment) can be destabilizing. Some capital inflows, such as foreign direct investment—which may include a transfer of technology or human capital—do seem to boost long-term growth. But the impact of other flows—such as portfolio investment and banking and especially hot, or speculative, debt inflows—seem neither to boost growth nor allow the country to better share risks with its trading partners… Although growth benefits are uncertain, costs in terms of increased economic volatility and crisis frequency seem more evident. Since 1980, there have been about 150 episodes of surges in capital inflows in more than 50 emerging market economies…about 20 percent of the time, these episodes end in a financial crisis, and many of these crises are associated with large output declines… In addition to raising the odds of a crash, financial openness has distributional effects, appreciably raising inequality. …there is increased acceptance of controls to limit short-term debt flows that are viewed as likely to lead to—or compound—a financial crisis. While not the only tool available—exchange rate and financial policies can also help—capital controls are a viable, and sometimes the only, option when the source of an unsustainable credit boom is direct borrowing from abroad. I certainly agree that there have been various crises in different nations, but I’m wondering whether the IMF is focusing on the symptoms rather than the underlying diseases. What happened in the various nations, for instance, to trigger sudden capital flight? That seems to be a much more important question. In some cases, such as Greece, the problem obviously isn’t capital flight. It’s the reckless spending by Greek politicians that created a fiscal crisis. In other cases, such as Estonia, there was a bubble because of an overheated property market, and there’s no question the economy took a hit when that bubble popped. But there’s a very strong case that Estonia’s open economy has generated plenty of strong growth over the years to compensate for that blip. And it’s worth noting that criticisms of Estonia’s market-oriented policies often are based on grotesque inaccuracies, as was the case when Paul Krugman tried to blame the 2008 recession on spending cuts that occurred in 2009. 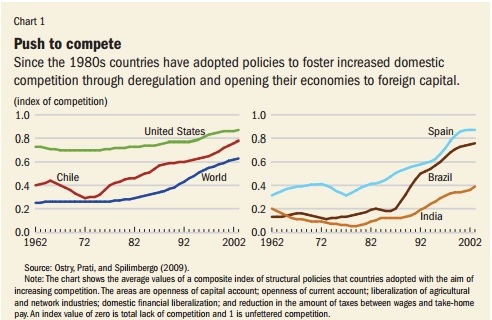 So I’m very skeptical of the IMF’s claim that capital controls are warranted. That’s the type of policy designed to insulate governments from the consequences of bad policy. But the authors make a big (perhaps deliberate) mistake by then blaming neoliberals for adverse consequences associated with the “austerity” imposed by various governments. Austerity policies not only generate substantial welfare costs due to supply-side channels, they also hurt demand—and thus worsen employment and unemployment. …in practice, episodes of fiscal consolidation have been followed, on average, by drops rather than by expansions in output. On average, a consolidation of 1 percent of GDP increases the long-term unemployment rate by 0.6 percentage point. The problem with this analysis is that it doesn’t differentiate between tax increases and spending cuts. And since much of the “austerity” is the former variety rather than the latter, especially in Europe, it borders on malicious for the IMF to blame neoliberals (who want less spending) for the economic consequences of IMF-endorsed policies (mostly higher taxes). Especially since research from the European Central Bank and International Monetary Fund (!) show that spending restraint is the pro-growth way of dealing with a fiscal crisis. Let’s now look at what the IMF authors suggest for future policy. More taxes and spending! …policymakers should be more open to redistribution than they are. …And fiscal consolidation strategies—when they are needed—could be designed to minimize the adverse impact on low-income groups. But in some cases, the untoward distributional consequences will have to be remedied after they occur by using taxes and government spending to redistribute income. Fortunately, the fear that such policies will themselves necessarily hurt growth is unfounded. Wow, the last couple of sentences are remarkable. The bureaucrats want readers to believe that a bigger fiscal burden of government won’t have any adverse consequences. That’s a spectacular level of anti-empiricism. I guess they want us to believe that nations such as France are economically stronger economy than places such as Hong Kong. Last but not least, here’s a final excerpt that’s worth sharing just because of these two sentences. IMF Managing Director Christine Lagarde said the institution believed that the U.S. Congress was right to raise the country’s debt ceiling “because the point is not to contract the economy by slashing spending brutally now as recovery is picking up.” …Policymakers, and institutions like the IMF that advise them, must be guided not by faith, but by evidence of what has worked. We’re supposed to believe the IMF is guided by evidence when the chief bureaucrat relies on Keynesian theory to make a dishonest argument. I wish that “slashing spending” was one of the options on the table when the debt limit was raised, but the fight was at the margins over how rapidly the burden of spending should climb. But if Lagarde can make that argument with a straight face, I guess she deserves her massive tax-free compensation package. P.S. Since IMF economists have concluded (two times!) that spending caps are the most effective fiscal rule, I really wonder whether the authors of the above study were being deliberately dishonest when they blamed advocates of lower spending for the negative impact of higher taxes. P.P.S. I was greatly amused in 2014 when the IMF took two diametrically opposed positions on infrastructure spending in a three-month period. P.P.P.S. The one silver lining to the dark cloud of the IMF is that the bureaucrats inadvertently generated some very powerful evidence against the VAT. P.P.P.S. Let’s close with something positive. IMF researchers last year found that decentralized government works better. I’m in Marrakech where I just spoke about the importance of economic freedom and entrepreneurship. 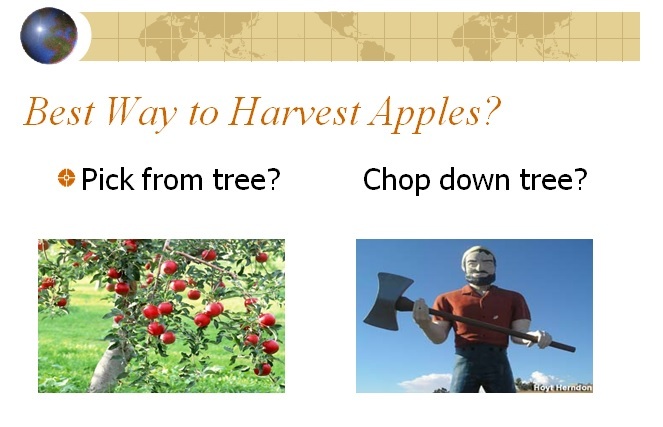 To close out my presentation, I zipped through several slides showing how nations with pro-market policies enjoy faster long-run growth than countries burdened by statism. The obvious conclusion is that even modest improvements in economic growth, if sustained for a long period, can make a tremendous difference in living standards. 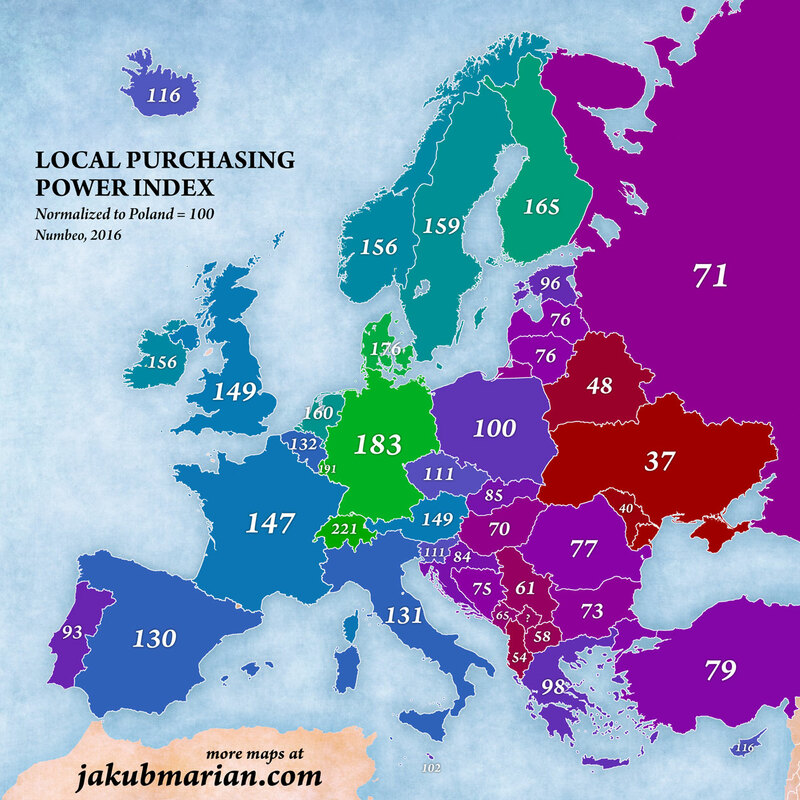 In future talks, I may start to include this fascinating map, produced by Jakub Marian, which provides an apples-to-apples comparison of local purchasing power in Europe based on the cost of living and the average level of income. Green nations therefore have the highest living standards, followed by blue nations, all the way to the red countries, which are the poorest. This is a very interesting data, in part because it certainly seemed at first glance to show that there is a relationship between rich nations and economic freedom. So I went to Economic Freedom of the World (EFW) and looked at the scores for the richest 10 nations on the map (actually, richest 11 since Austria and the U.K. are tied at 149). Of those countries, all but one of them are considered economically free and are in the top 31 out of 157 nations in the ranking. 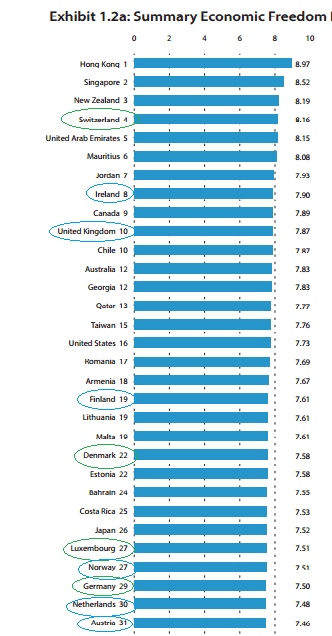 Only Sweden isn’t in this top category, and even that nation is ranked 42 and is mostly free. There are three takeaways from these numbers. First, it’s worth noting that the top two nations, Switzerland and Luxembourg, are tax havens. So maybe other nations should emulate such policies. And I’m guessing Liechtenstein and Monaco would be at the very top if they were part of either the map or the EFW rankings. Second, libertarian perfection would be nice, but the free market is capable of generating good results even if policy is merely decent. Almost all European nations have excessive taxes and spending, for instance, but they compensate with very pro-market policies in other areas. Third, there are several European nations from the former Soviet Empire that have earned good EFW scores. If their reasonably good policies are maintained for several decades, they will catch up to – and in many cases exceed – the living standards in Western Europe. Last but not least, here’s a map of Europe based on the Heritage Foundation’s Index of Economic Freedom, which is quite similar to EFW. Notice that the green nations on this map largely match the green and blue nations in the Jakub Marian map. The Baltic nations are the most notable exceptions, and I’ve already predicted they will catch up to Western Europe if their pro-liberty policies are sustained. Of course, the real role models should be Hong Kong and Singapore since those jurisdictions have more economic liberty than even Switzerland. Actually, I’m even willing to say that France is an ideal role model. But only if nations emulate the France of 1870 rather than the France of 2016. Or consider the environmentalists who produce/use hand-cranked vibratorsto reduce their carbon footprint. A Semi-Acceptable Indirect Bailout for Puerto Rico? I wrote last year about why Puerto Rico got into fiscal trouble. Like Greece and so many other governments, it did the opposite of Mitchell’s Golden Rule. Instead of a multi-year period of spending restraint, it allowed the budget to expand faster than the private sector for almost two decades. As the old saying goes, that’s water under the bridge. Since we can’t un-ring the bell of excessive spending in the past, what’s the best option for the future? The House of Representatives has approved a rescue plan that is getting mixed reviews. Desmond Lachman of the American Enterprise Institute is supportive but not enthusiastic about the proposal. The proposed Puerto Rican Restructuring Bill is to be welcomed as a first step towards resolving the island’s chronic debt problem… However, …the bill will be little more than a stop-gap measure to get us through the U.S. election cycle without a full blown Puerto Rican economic and financial crisis before November. The legislation creates a board with some power to force fiscal and economic reforms. …a seven-member oversight board…is to have exclusive control to ensure that Puerto Rico’s fiscal plans are enacted and enforced as well as to ensure that necessary reforms are undertaken to help the island regain fiscal solvency. The bill also includes a stay on debt-related litigation to create an environment for consensual negotiations with creditors. It is explicit that it will not involve taxpayer money to bail out the island. So if there’s no taxpayer money involved, why do people say the legislation is a bailout? So Puerto Rico will be bailed out to the extent that it will be able to stiff bondholders to some degree. …it would afford the island with a temporary stay on debt principal repayments to allow more time for the voluntary restructuring of its debt mountain. That stay would forestall an otherwise disorderly Puerto Rican default as early as July 1, when some $2 billion in debt repayments come due. Lachman views that as the least worst of the possible options, so this indirect bailout is not an argument against the legislation. At least from his perspective. He’s more worried about the fact that much more needs to be done to restore growth on the island. …it should be obvious that if the island’s economy were to continue to contract at its present rate of around 1 percent a year and if 2 percent of its able-bodied population were to continue to migrate to the mainland each year as is presently the case, the island would become progressively less capable of servicing its $72 billion in public debt or honoring its $45 billion in pension liabilities. A lack of restoring economic growth would also mean that the island would probably need a series of debt write-downs over time. Writing for Forbes, Ryan Ellis has a much more optimistic assessment of the overall deal. …the bill is a big win for limited government conservatives. It has no taxpayer bailout of Puerto Rico–not a single dime of taxpayer money is sent down there. …Puerto Rico will have to work their own way out of $72 billion in debt and defaults. They will be helped by an “oversight board”…modeled after the D.C. control board from the 1990s and 2000s, and their job is to approve fiscal plans and budgets, conduct audits, etc. But Ryan acknowledges that “work their own way out of” is just another way of saying that there is likely going to be a partial default. The oversight board…will first try to get the 18 classes of bondholders to agree to a voluntary debt restructuring with the Puerto Rican government and government sponsored enterprises. If that fails, the control board will recommend a debt restructuring plan to be enforced by a non-bankruptcy federal judge. That being said, he’s confident that the legislation won’t be a template for profligate states such as Illinois and California. Congress is exercising its Constitutional authority to provide all “needful and useful” laws to govern possessions, which is a separate power from the federal bankruptcy clause. There’s no risk of “contagion” to other states. Though he agrees with Lachman that there’s very little hope for a growth spurt. It lacks the necessary pro-growth reforms needed for Puerto Rico to get out of its decade-long depression, reverse migration back to the island, attract capital, and create jobs. Which is why Ryan likes the ideas being pushed by Congressman McArthur of New Jersey. He’s especially fond of territorial taxation for American companies that do business on the island. The solution is to enact the same type of international tax reform we want to do in the rest of the world–the U.S. companies pay tax in Puerto Rico, but don’t have to pay a second tax to the IRS just to bring the money home. That’s what the rest of the world does, and it’s called “territoriality.” It’s a basic principle of conservative tax reform to move from our outdated “worldwide” tax system to a “territorial” one. There is no better place to start than Puerto Rico. That would be a good step, and it would be a nice bookend to the very good law Puerto Rico already has for high-income taxpayers from the mainland. Other conservatives have a less sanguine view of the legislation. Here are excerpts from a coalition statement. People, companies, states, and territories don’t just “go” broke. Willful prior activity is required. …Puerto Rico has a long history of financial mismanagement brought about by progressive politics and crony capitalism. Amen. Puerto Rico got in trouble because of bad policy. And the bad policy wasn’t just excessive spending. There have also been grossly misguided interventions such as price controls. So it’s quite understandable that signatories to this statement are not overly excited that Puerto Rico will have a route for partial default. Progressive politicians, who are already seeking an indirect bailout – in the form of upending the existing legal structure to allow bankruptcy ‐‐ in the U.S. Congress, argue that a bailout or bankruptcy will help the people of Puerto Rico. They correctly list several procedural reforms and also point out that there are some obvious policy reforms that should be undertaken. Sensible economic reforms include allowing Puerto Rico (1) to set its own minimum wage law, including not having a minimum wage law; (2) to be exempt from U.S. overtime rules (which have just been greatly expanded by presidential fiat); and (3) to be exempt from the Jones Act, a protectionist measure that regulates U.S. shipping practices. Sadly, the legislation is very tepid on these non-fiscal reforms. So what’s the bottom line? Should the law get three cheers, as Ryan Ellis argues? Two cheers as Desmond Lachman prefers? Or only one cheer (or maybe no cheer), which seems to be the position of some conservative activists? My answer depends on my mood. When I’m going through a fire-breathing-libertarian phase, I’m with the conservatives. Puerto Rico spent itself into a ditch so they should suffer the consequences. But when I’m in my long-time-observer-of-Washington mode, I try to imagine the best possible (or least-worst possible) outcome, then I think Paul Ryan and the Republicans did a decent job. In other words, this is like the fiscal cliff deal back in late 2012. Disappointing in many respects, but not as bad as I would have predicted. The key question now is whether Republicans insist on putting good people on the oversight board. And that’s not a trivial concern. I remember thinking the 2011 debt limit fight led to a decent outcome because we got sequester-enforced caps on discretionary spending (not as good as a comprehensive spending cap, but still a good step). And we even got a sequester in early 2013. But then later that year, and last year as well, Republicans joined with Democrats to bust the spending caps. That doesn’t bode well for any policy that requires long-run fiscal discipline. Though maybe GOPers will be tougher this time since the spending restraint will be imposed on people who don’t vote in congressional elections.